Cinema in da bush is back! BYO beverage, popcorn and choctops. 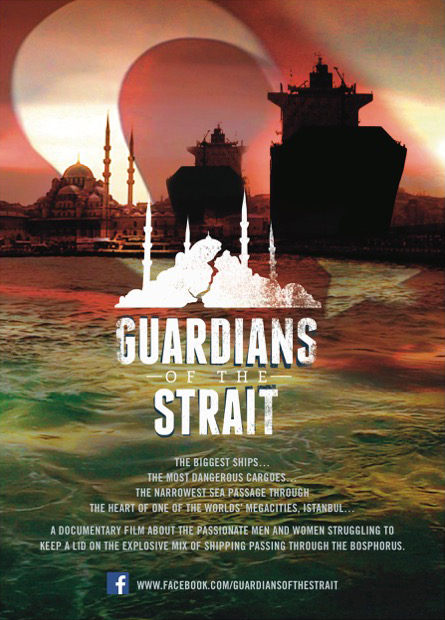 Guardian of the Strait is a documentary feature film about the passionate men and women struggling to keep a lid on the explosive mix of the biggest ships and the most dangerous cargoes all squeezing through the narrowest sea passage in the heart of Istanbul, navigating the twists and turns of the Bosphoros, and their daily battle to avoid a nightmarish accident. We’re fortunate in having Claire introduce the film and take part in a post-screening Q&A. She has extensive expertise across drama and documentary having held senior positions including Documentary Investment Manger, Screen Australia; Commissioning Editor for Documentaries SBS TV; Executive Producer, Documentaries & Natural History Unit ABC TV; Documentary Manager, Film Victoria. As an executive producer and series producer she has partnered with some of Australia’s most successful companies. This entry was posted	on Monday, September 24th, 2018 at 3:27 am	and filed under • Events. You can follow any responses to this entry through the RSS 2.0 feed.